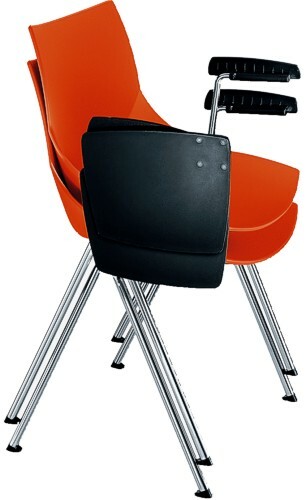 Office chairs > For conferences > SHELL conf. 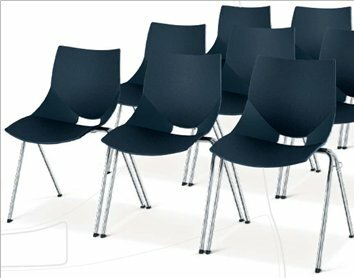 Office chairs | SHELL conf. 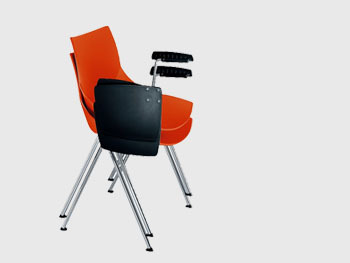 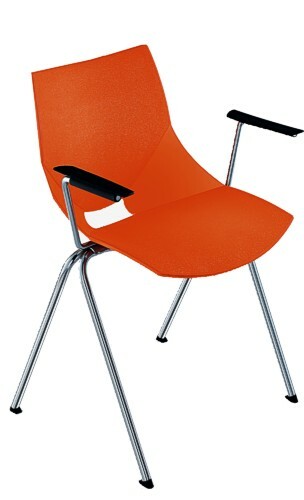 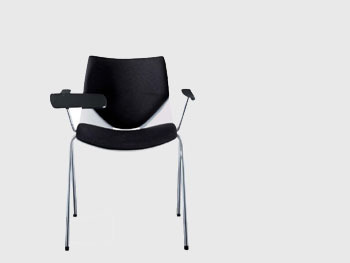 This stylish chair of solid foundation resembling a shell will surprise by its competitive price and quality. 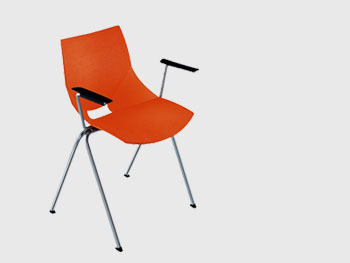 It is possible to choose from several colors: white, blue, grey, green and orange. 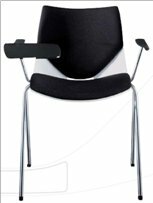 The chair for conference has armrests and writing tray, as well as nonslip armrest “hidden” under the usual armrest, which is convenient for writing. 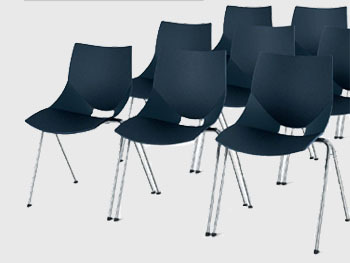 Another attractive feature – the chairs may be put one onto another and easily transported from one place to another.